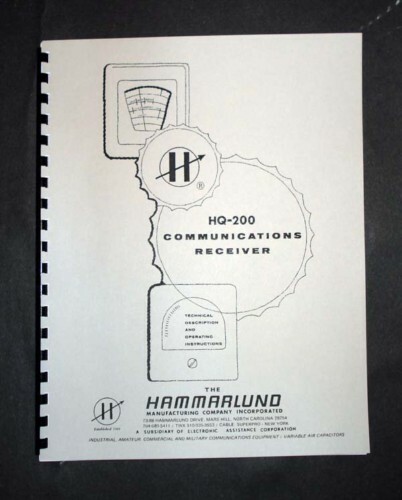 For sale is reprint of Hammarlund HQ-200 Communications Receiver Manual. 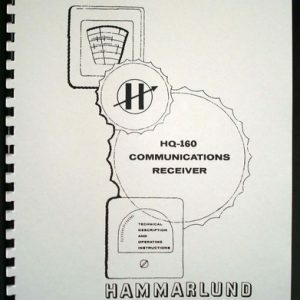 This receiver cover 540kHz to 30MHz in four Bands. 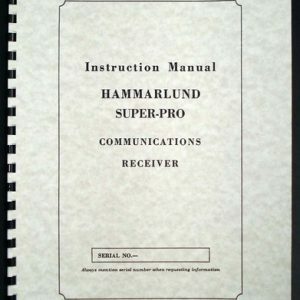 Manual is dated November 1968. Sections on Installation, Operation, Circuit Theory, Service and Alignment Procedure. Includes Tube Socket Voltage/Resistance Tables and part List. 24 Pages including 11×17 foldout of Circuit Diagram. 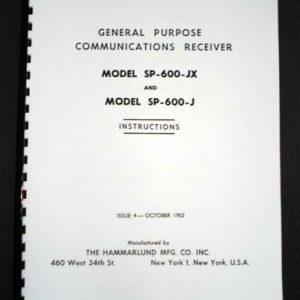 Includes Service Bulletin 5-68 and Addendum dated June 1970. 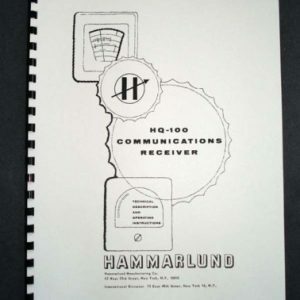 Must for every owner of this vintage receiver.